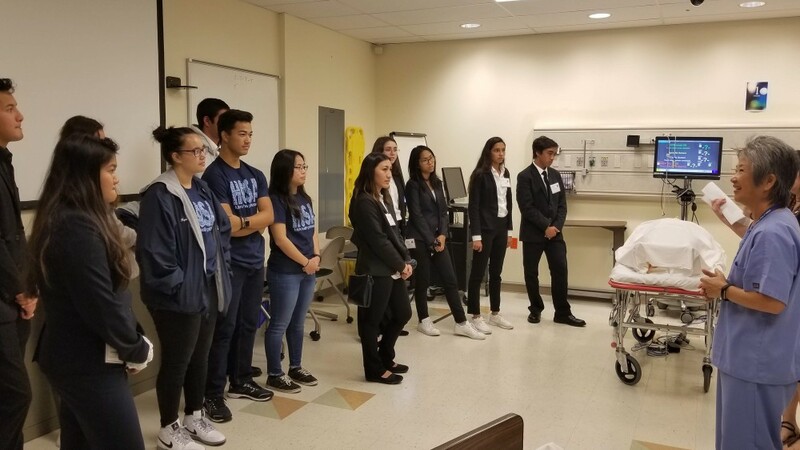 Members from the KS Maui and Hawai‘i teams gathered at HOSA’s Hawai‘i State Leadership Conference on Feb. 26-27. The KS students competed with teams from 36 other high schools in various events and came home with six medals – three gold, a silver and two bronze. For the KS Maui team, the off-island trip included a huaka‘i to UH Mānoa’s John A. Burns School of Medicine where they talked to other Native Hawaiians currently pursuing a degree in the medical field. 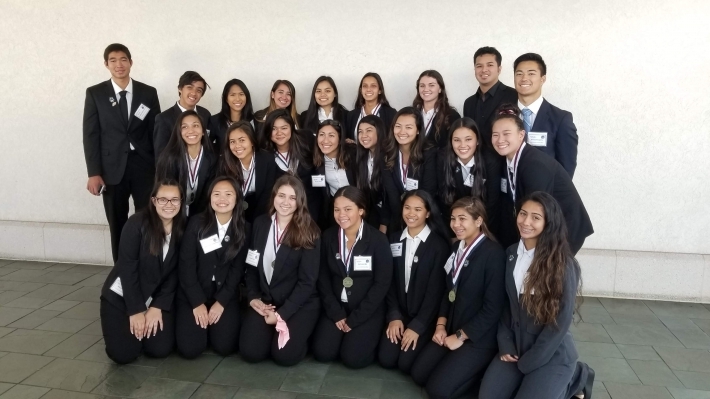 Teams from Kamehameha Schools Maui and Hawai‘i recently earned medals at the Health Occupations Students of America (HOSA) Hawai‘i State Leadership Conference held at the Hawai‘i Convention Center. HOSA is an international association that offers leadership development opportunities to students looking to pursue careers in healthcare. Through HOSA, students also have access to post-high scholarships and community service opportunities. Thirty-eight schools participated in this year’s conference, which included over 60 individual and team competitive events. Students competed by either completing a written test, submitting a portfolio, doing a team presentation, or a combination of each. The KS Maui team of junior Faith Bonacorsi and freshmen Berylin Lau, Kaydence Lilio and Kawaimalie Apolo received a gold medal for the Community Awareness team event. KS Hawai‘i took home five medals, including gold going to seniors Hoʻonani McClung, Chianti Motta and Nanea Delostrico for Public Health; gold to senior Sienna DeSa for Medical Assisting; silver to sophomore Osiana Pacheco for Sports Medicine; and bronze medals to junior Landen Kukahiwa for Veterinary Science and senior Maya Rosof for Medical Law and Ethnics. All gold medalists move on to HOSA’s International Leadership Conference in Florida from June 19 through 22. To learn more, visit www.hosa.org.